Sorry You Missed It… Registration Has Closed. Shawn Byfield has invested nearly 25 years teaching tap dance, using the most effective tips, tap dance exercises and teaching methods for students nationwide. His Tap Dance Teacher Coaching Program is the culmination of all that he has learned and assimilated in that process. It is designed to empower dance studio owners, tap dance teachers, and choreographers with new ideas, fresh choreography, and teaching strategies you’ll need to make a significant impact on the quality of your tap dance classes. You will learn how to give your students an unfair advantage on and off the stage- and how to take your classroom teaching skills to the next level. 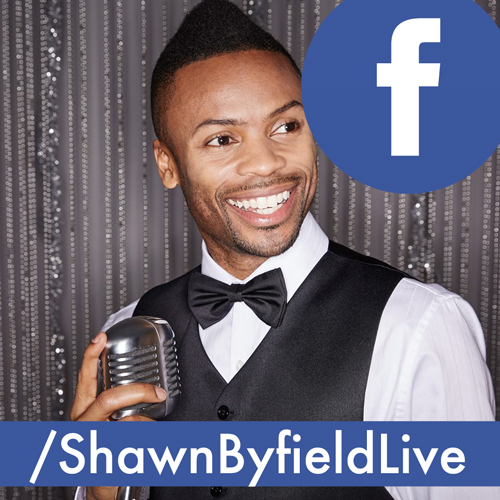 Shawn Byfield is an Award-Winning Choreographer and Dance Expert, Certified Public Speaker, Seasoned Adjudicator, and Respected Tap Dance Authority Nationwide. 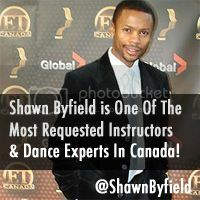 As a GEMINI AWARD™ nominated performer and a sought-after dance choreographer, coach and entrepreneur, Shawn Byfield’s unique perspective is enjoyed by thousands who dance, train and mentor with him every year. Whether talking about dance classes, choreography, motivation or marketing, Shawn’s message is fun and energetic: two things that are lacking in today’s world. For over 20 years dance teachers, adjudicators, choreographers, competition directors and studio owners have been positively impacted by his coaching methods and actionable lessons. Students attending his tap dance classes, seminars and workshops leave with a better understanding of how to excel at their mental game, improve their technical teaching skills- all while fuelling their passion for dance. Over two mornings and afternoons, the Tapdance Teacher Coaching Program will help you transform and inspire your tap students with fun tap steps, new ideas, cool templates and arm you with world-class teaching strategies you can use right away. Q: Do I need to be an advanced tap dancer? A: Choreography level is NOT advanced, as most tap teachers aren’t. And neither am I. Material is for teachers who teach teens and younger. Q: Do I need to be a certain tap syllabus? A: Nope, don’t worry about that! Whatever syllabus you know will be more than fine. You’ll learn steps you can plug and play in any syllabus. More importantly, you’ll learn about class psychology I’m trained in, and personally use to control kids (AND ADULTS) to get your students learning whatever steps you’re teaching them- syllabus or not! Q: I teach juniors, will this help me? A: I’ll share exercises I use for Juniors, and once you understand the basics, you can evolve them for Senior students and assistants too! So you need to do is copy and paste. Q: Can I take notes on my phone or tablet? Q: Is there a hotel nearby? A positive, open-minded attitude, a willingness to be coachable, and a smile! The two days are in a casual setting in Shawn’s dance studio. Wear comfortable dance clothes, bring layers, and your tap shoes for the learning components of each day. You will be sweating lots. Keep perfume to a minimum, and bring deodorant/body spray. Pens and a notepad, you will be taking lots of hand-written notes. Bring peanut-free snacks to keep your energy up. We will not have an extended lunch break, but periodic breaks will be given throughout the day. There will be a dinner night after day 2 at a higher end restaurant, where we will have fun social tap dance chats. Feel free to bring your chic and stylish wardrobe! This Tapdance Teacher Coaching Program takes place in a non-competitive, fun and positive environment with like-minded tap dance teachers willing to learn, share and rise to new challenges. You will make new friends, exchange stories. This event will have at least 12 hours of learning, so prepare to be fully present and open to learning without distractions. …But for this entire two day event, you won’t pay that. Not even half of that, which is still an incredible value. By confirming your attendance today, you can guarantee your spot in the room for only $497! All you have to do is press the button below. WARNING: If you don’t plan to attend this event now, you’ll totally kick yourself later when you find out how valuable and useful the program was! PS: Tapdance Teacher Coaching Program takes place in Toronto. Get inspired with new tap dance exercises, choreography and master teacher secrets that will dramatically improve the quality of your classes. PPS: To keep learning at a maximum, SPACE IS LIMITED to 25 teachers only, first come first served. Once it’s full, it’s full… Don’t miss this!